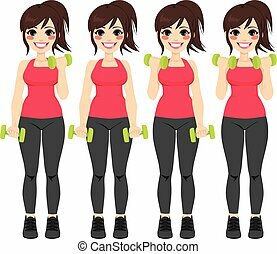 Basic woman standing actions and movements. 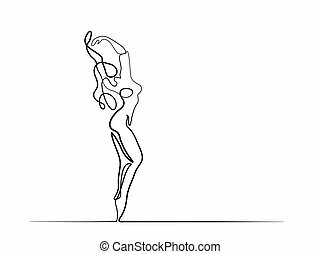 Artworks depict a female human standing in various positions with different body languages. 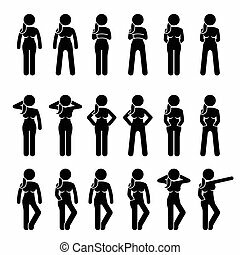 Basic Woman Standing Actions And Movements. 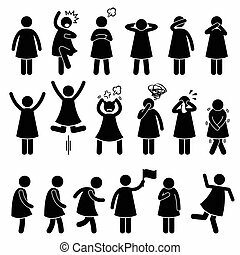 Green woman icon in various actions. 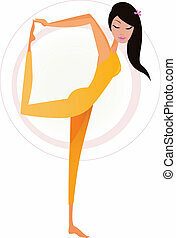 Woman practicing Yoga excercise. 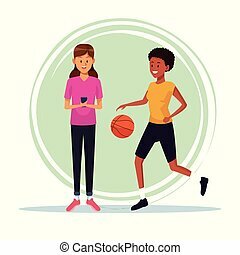 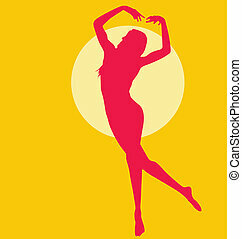 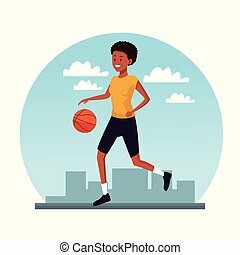 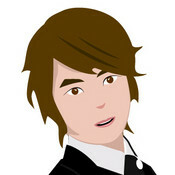 Vector Illustration of girl in Dancer\'s Pose isolated on white background. 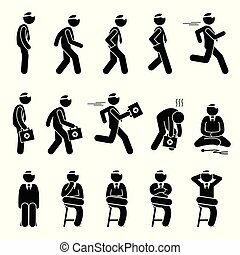 Stick figure pictogram depicts a doctor standing, walking, running and sitting. 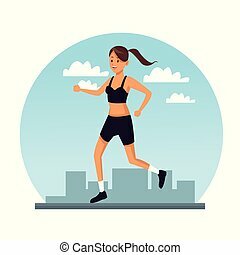 The doctor is running fast carrying first aid kit representing emergency and urgent. 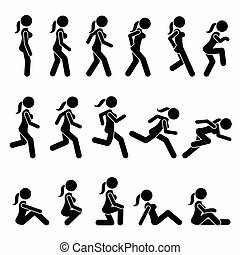 Artworks depict a female human walking and running in various motions, positions, and postures. 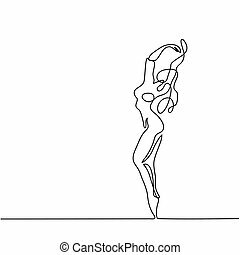 Artworks depict a female human jumping and sitting in various motions and postures. 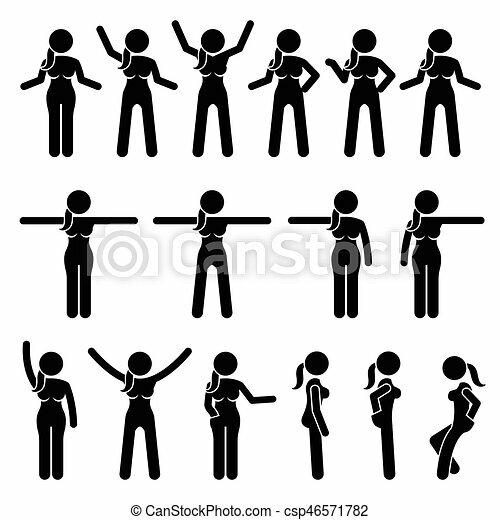 A set of human pictogram representing basic woman poses such as standing, shock, scared, angry, closing ear, eyes, mouth, raising hands, jumping, pulling hair out, facepalm, crying, needing to pee, walking, running, anxious, and unstable. 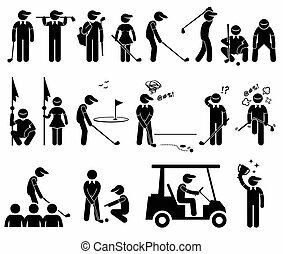 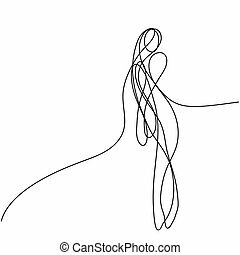 A set of stickman representing the sports of golf player actions and poses. 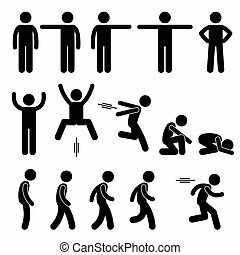 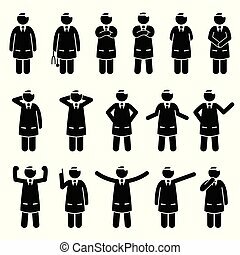 Stick figure pictogram depicts various doctor expression, movements, body gestures, and feelings. 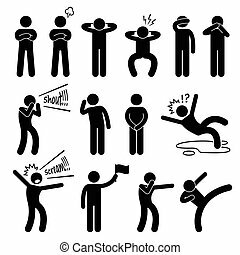 A set of human pictogram representing basic human poses such as arm crossed, closing ear, closing eyes, closing mouth, shouting, listening, falling down, screaming, punching, and kicking. 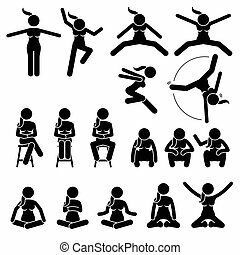 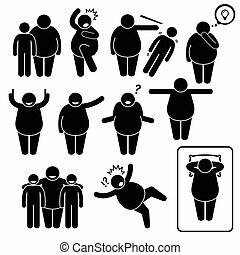 A set of human pictogram representing a fat man with various poses and postures such as shock, surprised, punching, thinking of an idea, victory, showing, no idea, opening arms, together with friends, falling down, and sleeping or resting.